The blockchain technology is making news. As per the news, it is not just restricted to the cryptocurrency. Instead, people are using the blockchain for many other purposes. Most of the industries around the world have figured out the importance of Blockchain technology and the benefits that are linked with it. As a result, an ideal platform has been created for the increasing popularity of Blockchain. At the moment, Blockchain technology is being used for philanthropy, cloud computing, online music distribution, cyber security, supply chain management and financial services. One of the most prominent advances that came out with blockchain technology was the distributed ledger technology. It can be used as an effective tool in order to hold digital identities, distribute welfare payments and engage with electronic voting. It can also create a tremendous impact on the day to day operations of the lawmakers and how they write laws. It has been identified that 5 major areas would require blockchain laws in the future, so that cryptocurrencies can be accepted as a valid payment method. They include anti-money laundering, property ownership, data privacy, smart contracts and payments. It is extremely important for the financial regulators to take required steps to prevent money laundering. At the moment, it is possible for the people to buy and sell digital currencies totally anonymous. This creates an ideal environment for money laundering. Therefore, new laws need to be implemented, so that all sorts of money laundering acts can be eliminated. One of the first steps that would be taken in order to avoid money laundering would be the introduction of Know Your Customer reforms. Then it would be possible for the regulating bodies to eliminate anonymous payments up to a certain extent. In addition, plans are being taken at the moment in order to introduce digital currency specific anti-money laundering measures for all the exchanges and payment processors. The regulator that is going to be introduced by Chinese in the month of June can be considered as a perfect example to prove the above mentioned fact. On the other hand, new laws need to be introduced in order to punish all the people who are engaged with criminal activities using cryptocurrencies. Property ownership can be considered as one of the key factors that are being used to define the wealth of people who are living in a specific country. As a result, issues that are related to property ownership are being considered as bigger ones. There is a direct involvement of the government when handling such issues. In other words, people who have official records to prove the ownership of the property have competitive advantage over others when dealing with property ownership. However, it is important for the people to keep these records in a secure manner. If these records get into the hands of wrong parties, people who legitimately own them will have to come across a variety of issues in the future. Blockchain technology can be used to introduce a reliable solution to this issue. 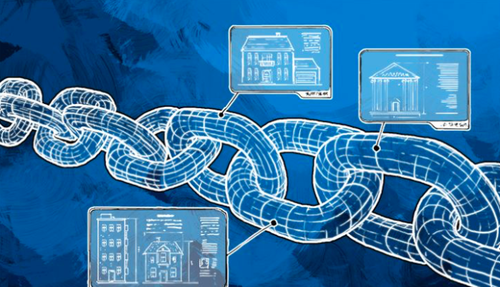 The property records and all the land titles can be stored inside the blockchain in a secure manner. Companies have already started practicing this and helping the people who are in need. Bitland Company, which is located in Ghana, can be considered as a perfect example for such a company. However, it is important to keep in mind that ownership records that are based on blockchain technology are legally viable. As a result, new laws need to be written in order to accept them. The blockchain technology is ideal for storing a large amount of data in a secure manner. Access to the stored data can be controlled effectively with the assistance of access keys. Due to the immutability associated with the ledger technology, it would be impossible for someone to destroy this data. However, this can give life to a variety of legal concerns. It is the responsibility of the lawmakers in order to come up with appropriate laws, which can be used to tackle the issues with minimum hassle. Along with the increasing popularity of Blockchain technology, the concept of smart contracts has become extremely popular among people in today’s world. The smart contracts allow giving life to a digital contract, which can be shared across two or more parties. In this contract, the agreements would be coded using “what if” commands. For example, automated payments can be initiated under certain scenarios. Ethereum Blockchain can be considered as the most popular smart contract that you can find out there in the world. However, the concept of smart contracts is not yet accepted legally and it is the high time to think about implementing required steps to facilitate the legal acceptance of it. Last but not least, the lawmakers will have to pay their attention towards the payments that are being made through cryptocurrencies such as Bitcoin. This has been a popular topic among the lawmakers since 2013, but no strict laws have been implemented as of now in order to control all the payments done with cryptocurrencies. Some countries that exist out there in the world have already taken necessary steps in order to start using cryptocurrencies as a legally accepted payment method. However, there should be a legal framework that covers the entire world, because cryptocurrencies can be used to make a payment to a person who lives in another part of the world. This would provide the tough challenge for the lawmakers on how they need to classify cryptocurrencies and how tax schemes should be implemented covering it. Cryptocurrencies would definitely become one of the leading forms of currencies in the future. However, the lawmakers will have to think about different methods that this cryptocurrency can be used and implement necessary laws in order to eliminate all the unlawful acts that can arise as a result of usage. Next article Meet Enterprise Ethereum Alliance’s new member, The National Bank of Canada.